Rather, there are multiple ways through which you can have that great look back without involving the doctors. Do you want to know those? Just have a look! Yes! Just a trim of your eyebrows would make it possible. It is one of the simplest ways through which you can look younger. Believe me, if your brows are not in shape then they can definitely make you look younger as well as older. So, just make sure that you are always trimming them. A yet another awesome tip to make you look younger is that you should definitely moisturize your skin. You should certainly do it for your face, neck, and hands specifically which will, in turn, make your skin look supple, young, and fresh. But, stick to a premium quality moisturizer always! Do you think it will cost you huge? No, that’s not right! You can just grab an exciting deal or offer and thus save huge bucks while continuing your daily moisturizing regime. Your feet and hands seem to play a significant role in showing off your age. So, make sure that you are keeping them in a fully maintained condition. For that, manicures and pedicures are definitely two most important approaches! It will let you feel a lot better and look younger significantly. One of the most important tips to look younger is that your skin shouldn’t have any brown or black spots in it. With such spots and blemishes, your skin ends up looking aged. 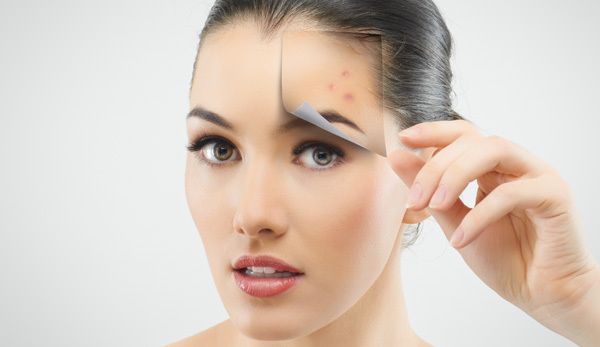 There are various anti-marks creams available in the market which are proven to show amazing results. This is not the end! You can even rub a spoonful of lemon juice on your face which acts as a very gentle bleaching agent. If you continue to do this regularly then it will gradually fade away all such things from your face. Yes! When your age increases then make sure that you are no more sticking to those red or black dresses of yours. Instead, if you opt for the pleasantly appealing light colors then it will make you look younger. But, wait! If you wear dark clothes then you will look slimmer. So, when it comes to this tip then opt for it smartly while keeping your own requirements in the mind. If you want to look younger than your age then the best kind of things that you can opt for are the natural beauty products. For example, olive oil! It has an immense level of skin-rejuvenating benefits. It’s because the fatty acids that are present in this oil tend to be quite similar to the natural oils of your own body. So, just include this in your daily beauty regime through various means. It really makes an amazingly perfect, and balanced beauty product. So, these are some of the best amazing tips through which you can retain your younger look like never before! Just go for these and see the difference in no time. Wish you all the best. Take care of yourself and stay beautiful!